Front Wheel Alignment from only £30!! Four Wheel Alignment from only £40! 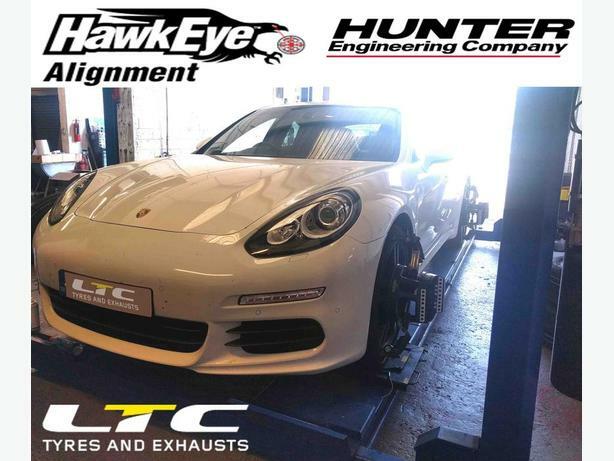 Laser 4 wheel alignment using our new state of the art Hunter Hawkeye equipment to improve vehicle tracking like never before. It is Free to have your Vehicle checked! Each test comes with a printed test sheet so you can see any problems with your vehicle and a revised print for when the work has been completed. WHY DO I NEED FOUR WHEEL ALIGNMENT?? ◦Reduce tyre wear Improper alignment is a major cause of premature tyre wear. Over the years, a properly aligned vehicle can add thousands of miles to tyre life. ◦Improve vehicle handling Does your car pull to one side? Does the steering wheel vibrate? Do you constantly have to move the steering wheel to keep the car travelling straight ahead? Many handling problems can be corrected by four wheel alignment. ◦9 out of 10 cars suffer from some form of misalignment. LTC Supply and Fit Tyres, Exhausts, Brakes, Wheels, Wheel bolts, Wheel Nuts and Much more. LTC offer a fitting service at our purpose built fitting centre located in the West Midlands. Please call 01384 898014 for details.